Your body is lazy by nature. 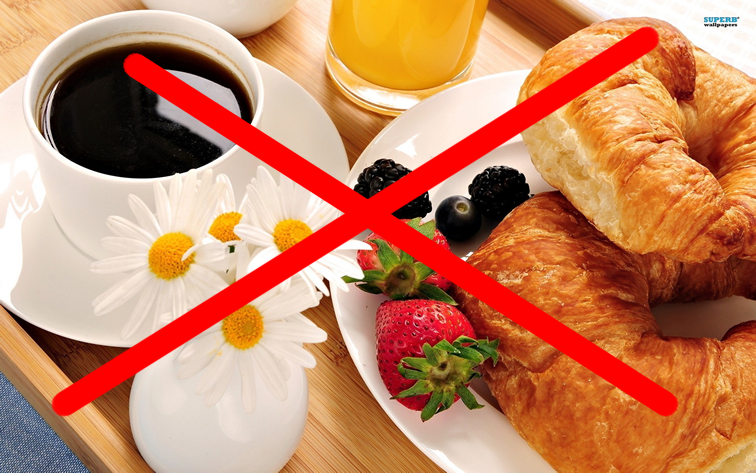 If you give it the choice between rapid energy (marmalade, fruits, smoothies etc…) or slow energy (bread, cheese…), what do you think it is going to use first??? So NO SUGAR IN THE MORNING and certainly NO MIX OF SUGAR AND CHEESE!!!!! Sorry for the fruit juice lovers….